With any golf event, the course on which it is contested plays a major factor in the outcome of the event and the Ryder Cup is no different. The 2012 version of the Ryder Cup Matches will be contested over Medinah Country Club’s Course #3 in Medinah, Illinois just outside Chicago. 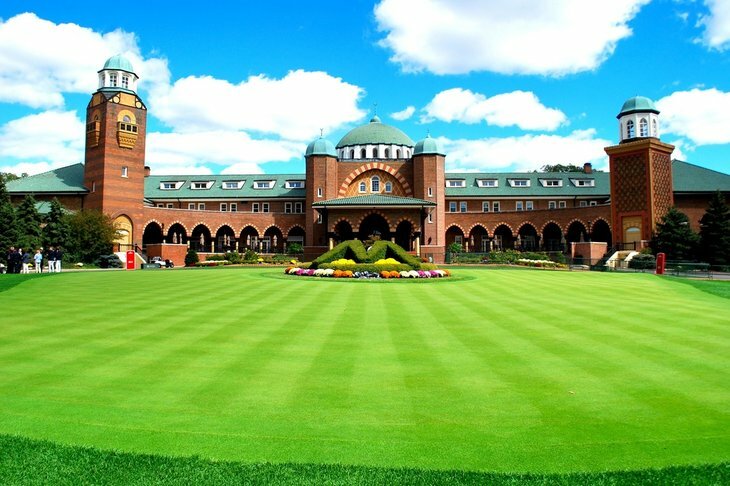 Medinah is no stranger to the biggest events in golf, having hosted three U.S Opens and two PGA Championships. As is the standard in modern golf, the #3 Course at Medinah is a beast. For the Ryder Cup it will be set up at a mammoth 7,657 yards. On a sea-level golf course in early fall, that is a true test for even the longest hitters. Of the four par 5’s on the card, two measure over 600 yards. In the par 5’s we see three over 450 yards, and another over 500. The most notable par 3 is the 13th, which measures 245 yards over a pond. This will very likely be a swing hole as the matches head deep into the back nine. Medinah is probably remembered by most golf fans as the site of the 1999 PGA Championship duel between Tiger Woods and then 19-year-old Sergio Garcia. On the 16th hole of the final round, Garcia hit one of the most memorable shots in major championship history. His eyes-closed shot off of the trunk of a tree was followed by a sprint up the hill to spot the ball. Despite this crowd-electrifying effort, Woods would hold off Garcia for a one shot win and his 2nd major title (to go with the ’97 Masters). Woods would prevail by 4 shots when the PGA Championship returned to Medinah in 2006. It is interesting to note the difference in the prize money Woods took home for the two titles. In ’99, his first place share was just over $600k. In 2006, the title check was over $1.2M. That growth is a great example of the golf explosion that Woods himself was responsible for in the early 2000’s. When analyzing a golf course, it is usually a good practice to look at who has won on the course recently. When that person is Tiger Woods, however, the analysis is pretty well useless. After all, Woods has proven himself capable to win on all different kinds of courses anywhere in the world. So that angle gets us nowhere. This is an obvious tactical move to favor the American squad. With players like Phil Mickelson, Bubba Watson, and Dustin Johnson, the U.S. is heavy with guys that can bomb it but don’t always find the short stuff. But lessening the penalty of hitting the rough, Love has tilted the home course advantage toward his guys. Shorter hitters Jim Furyk and Steve Stricker would be the main American players not benefiting from the setup. When looking at the European team, it is easy to see why Love was comfortable with this strategy. McIlroy is a long hitter, but top Euros like Westwood, Donald, and McDowell are known for their tremendously accurate ball striking. For Donald and McDowell especially, the long setup with short rough is less than ideal. Medinah has been prepared specifically to take away what they do best. More than anything, Medinah should provide a beautiful backdrop for these always dramatic matches to play out. ← 2012 Ryder Cup Preview – Heroes or Zeroes, does the US have the juice to take back the cup?